Here at Idea 11 we work with our customers to deploy Amazon WorkSpaces. A lot of WorkSpaces. In an enterprise, one annoying aspect of the client is the Registration Code. This code is used to tell the WorkSpace client where to connect. Now obviously just telling the end users to enter this code isn’t the most seamless user experience we could want and usually results in a few helpdesk calls. So this is how you can configure this code automatically for your end users. This file contains the settings for the registrationCode. 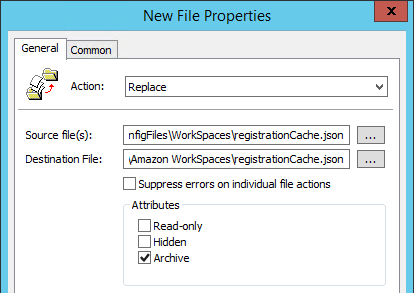 The easiest way to get this file configured with what you need is to configure the registration code in your client and take a copy of the file. 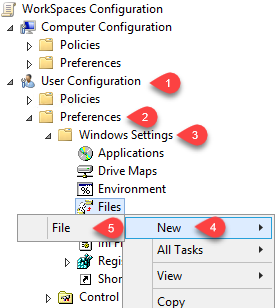 Now there’s lots of ways you can deploy out this file (login scripts, SCCM, Group Policy, etc) but i’m going to cover how I do it with Group Policy. Please modify these steps as you need for your use case, and ALWAYS test before you deploy into production with change management approval. Link this Group Policy Object into your OU structure where required. Tell your helpdesk what you’ve deployed and relax. Need some help with Amazon Web Services? Idea 11 is an Advanced Consulting Partner with AWS helping customers with their journey to and inside the cloud. Get in contact with us here.